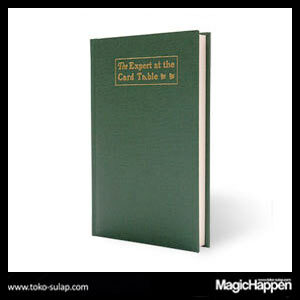 Since The Expert at the Card Table was published in 1902, there have been over 50 editions. 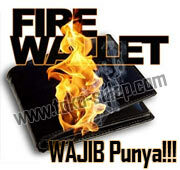 It has been translated into various languages and transcribed by the brightest minds. It is the greatest book on card technique ever written and likewise, the most studied. Its contents are just as relative today as they were over 100 years ago. In the June 2010 issue of Magic magazine, John Lovick writes that Erdnase "inspires religious fervor and pilgrim-like devotion from its disciples", which is to say the least for serious students. It has indeed become a devotional vade mecum with new insight and inspiration gained with every read. Many magicians have spent their life studying the book. Dai Vernon, a master of close-up magic, left us all with his wonderful annotations in Revelation, giving many of the methods a modern approach. Erdnase will always have its devout scholars, but lately it's become more of a trend. We think this started a few years ago when the Conjuring Arts Research Center released its Bible Edition, a pocket sized version in which you won't find a card man without. This year, we saw the release of a custom deck of cards paying tribute to Erdnase, and there is even talk now of an Erdnase convention. It is clear Erdnase is no longer just shorthand for the author's famous work, but also a brand representing serious students and professionals of sleight of hand card technique. Adding to the brand is a beautiful reproduction of the original 1902 publication. On the outside, it's a perfect facsimile, however, leaf through the pages and you'll discover an empty canvas for new ideas. This isn't just another edition, but as John Lovick writes, "a journal in which to coalesce your card-centric thoughts." Although you won't find a description for the Bottom Deal, or the S.W.E. Shift, as all the text has been removed, the publisher has left all 101 drawings by M.D. Smith in their respective positions. Some might say this will get in the way, but we think it's a simple reminder of what this journal is for. Although if you have kids, it makes for the greatest coloring book ever! Erdnase aficionado's will be delighted with this new homage to The Expert at the Card Table and be eager to fill its pages with everything from annotations to new ideas.